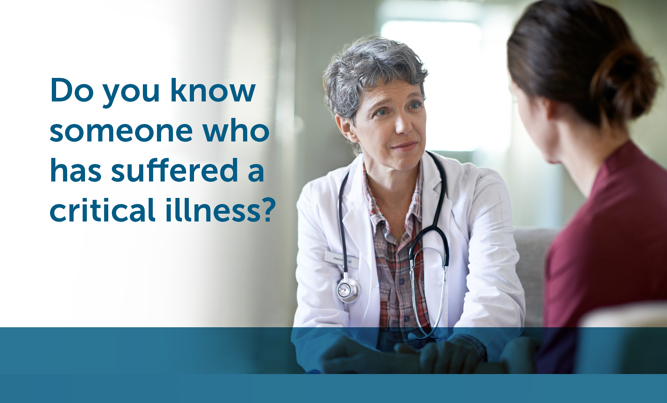 A critical illness can happen to anyone at any time. Worrying about your finances is the last thing you need, should the unexpected happen. 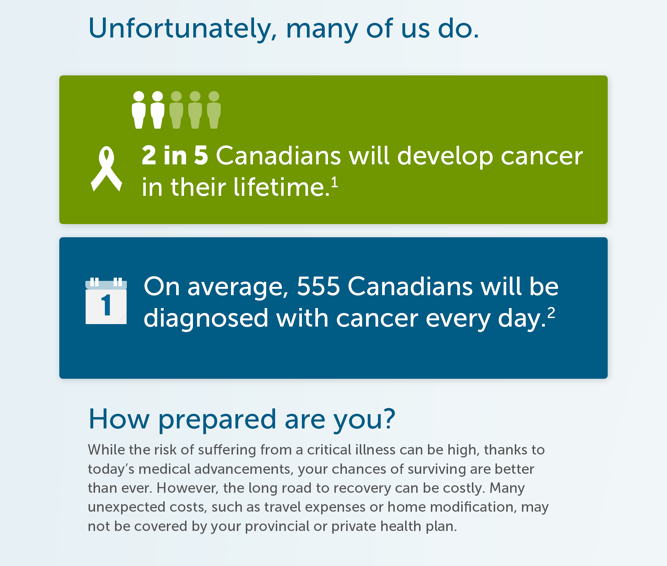 To help, we have created an infographic that will help you get familiar with Critical Illness Insurance. Who is it for? How does it work? How much can it cost? 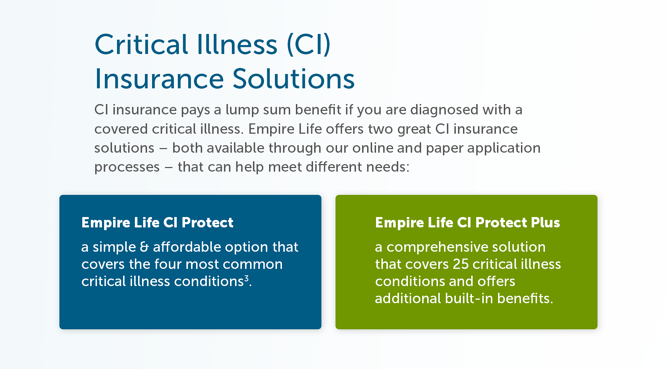 Take a look at the infographic below to find out and connect with an advisor today! 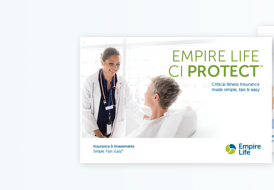 4 Monthly premium amount for CI Protect for coverage amount indicated, as a stand-alone plan as of April 24, 2017, is $16.38 for male (age 35 non-smoker) and $18.90 for a female (age 35, non-smoker) for the first 10 years.